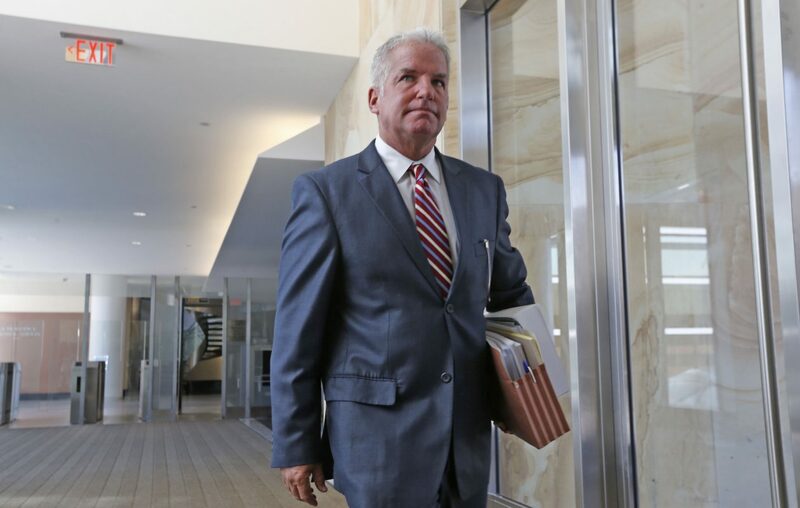 As a prosecutor, James P. Kennedy Jr. says he looks for evidence and then asks questions. On the hot-button issue of marijuana and whether it should be legalized, the U.S. attorney for Western New York says the lack of credible information about its impact on individuals and society makes him pause. Kennedy, in an opinion piece for The Buffalo News, compares the push to legalize pot to the Gold Rush of 1849 and suggests New York State would be wise to take a step back. "I think we owe it to ourselves and future generations to slow down and proceed with great caution," he wrote. "Otherwise, we may find ourselves in a place at which the only question left to ask is — how in the world did we end up here?" As the region's top federal law enforcement official, Kennedy is an influential figure in the ongoing debate over legalizing marijuana. "I think I have an obligation to speak up," he said during an interview Friday. "I'm not making a moral judgement, but whistling past the graveyard is not the way to address this issue. " He is also quick to remind people that the possession, distribution and production of pot will continue to be a federal crime, regardless of what New York does in the coming year. Gov. 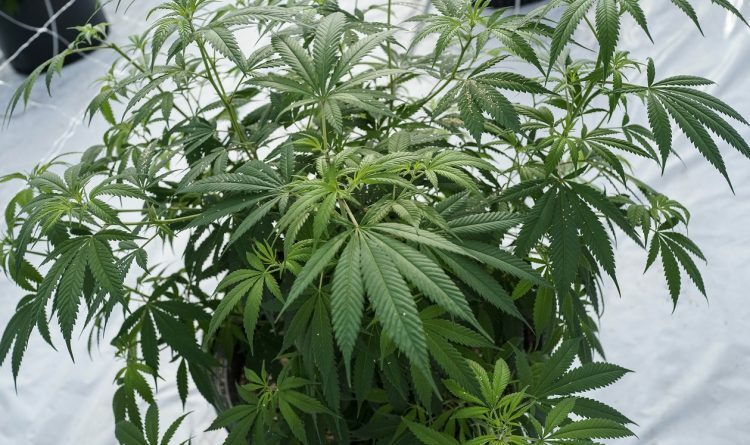 Andrew Cuomo and state legislators are currently in negotiations over legalizing marijuana. In making his case against legalization, Kennedy points to a 2017 study by the National Academy of Sciences to suggest that the health effects of pot remain a mystery. He acknowledges its benefits in treating pain and reducing chemotherapy-induced nausea but said the long-term impact on recreational users is largely unknown. "Despite the growing perception that the decriminalization of marijuana is a fait accompli, what has become profoundly clear to me during my tenure as U.S. Attorney and the nearly three decades I spent as a federal prosecutor, is how scarce the evidence is regarding marijuana's impacts on individual health and society wellness," he wrote. Kennedy added his voice to a wide range of groups raising concerns about legalizing marijuana, including the New York State PTA, the American Academy of Pediatrics and the New York State Association of Chiefs of Police. Kennedy thinks that dearth of evidence makes it impossible for the public to make an informed decision. In opposing legalization, he knows he is in the minority, and he will tell you that it was the strong momentum for legalization in New York that first prompted him to go public. Fueled by a public that favors legalization, Cuomo and state lawmakers jumped on the bandwagon and are now working on a strategy for allowing the recreational use of pot. In January, a public opinion poll by Quinnipiac University found 65 percent of New Yorkers support allowing adults to possess small amounts of marijuana. It also found 59 percent of those surveyed in favor of the legalized sale of pot. The effort to legalize marijuana also got a boost when state health officials endorsed the idea and said the benefits outweigh the risks. For Kennedy, the opposite is true. He believes there is ample scientific evidence of pot's negative effects on children and believes legalization will make it easier for kids to buy it. "I'm a parent," he said. "What about the developing brain? Before we jump in with both feet, let's know what we're getting involved with." Kennedy's office does not prosecute low-level marijuana possession cases, but the prosecutor acknowledged the disparate impact of arrests on African-Americans. Nevertheless, he sees legalization as a public health and safety issue, not an issue of race. In his opinion piece, Kennedy argues that the minuses associated with legalization far outnumber the positives and he points to "limited evidence" of pot's negative impact on academic achievement, economic success and social engagement. "How can it be sound public policy to legalize recreational marijuana when it very well may make us dumber, poorer and less social and, when, in the end, we really do not know what it is going to do to people?" he said. Kennedy believes New York can learn from states where pot is already legal and suggested their experiences with legalization are filled with horror stories. He noted, for example, that in Oregon, marijuana is still in great demand on the black market. He said marijuana production in the state is far outpacing consumption and the result is an overabundance of cheap marijuana. "As with all drug dealing, with increased competition between illicit dealers comes increased violence," he said. Kennedy is not the first public official to come out against legalization. Dr. Thomas Madejski, president of the Medical Society of the State of New York, has said he doesn't think legalization would be "in the interest of patients and our society." Like Kennedy, State Sen. Chris Jacobs, a Buffalo Republican, pointed to the experiences of other states to suggest that legalization is a mistake. Jacobs noted that marijuana-related hospital stays and emergency room visits are up dramatically in Colorado and said the answer to the question, does pot make people in New York healthier and safer, is a "resounding no."